Monday, December 16 Devotional – I Commend Joy! Consider: How do you know whether someone is a great leader or not? Luke opens this chapter by setting up a contrast. 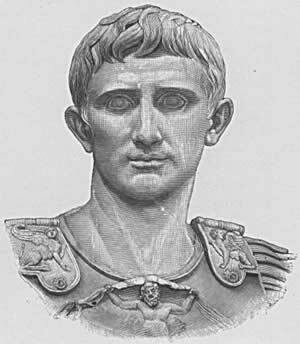 Caesar Augustus, Caesar the venerable, the revered, was essentially considered a god by the people. Romans thought of him as a ‘savior’ for saving the Roman Empire in a time of internal strife. He was the first emperor of Rome, emperor of the entire known world at the time of Jesus. His decree spanned the entire world at that time, as Luke writes, stating that all the world should be taxed. His power and control were unmatched. What an appropriate time for the real Emperor and Savior of the world to come! Jesus did not come with pomp and show, though, at least to the leaders of the world. He had an insignificant mother, he was born in an insignificant town, and he was heralded by shepherds! His credentials were impeccable, though. He was in the line of King David, born in the city of David, with an unmatched human heritage. His birth and life were prophesied throughout the Old Testament. But even more, Jesus is God! His human heritage is only excelled by his divine lineage. He wasn’t praised by men, he was exalted by angels! And to him every knee will bow and every tongue will confess that he is Lord (Phil. 2:10-11). Luke begins this chapter with this contrast to enable us to remember that even at his birth he was King of Kings and Lord of Lords. Apply: Meditate on Christ’s greatness as you begin this advent week.